Kirby’s 25th anniversary is well and truly underway, with the latest Nintendo Direct revealing the pink puffball's latest 3DS game originally announced back in Spring. Kirby: Battle Royale appears to be a cuddly and cute version of fight club. In this title, Kirby enters a tournament to face-off against his toughest rival yet - himself! Featuring both single and multiplayer friend's modes, go it alone, or duke it out with your buddies in the arena or treasure hording mode. There’s even a story and online mode to entertain yourself with. Kirby: Battle Royale launches on the 3DS in Europe on 3rd November and in the US on 19th January. 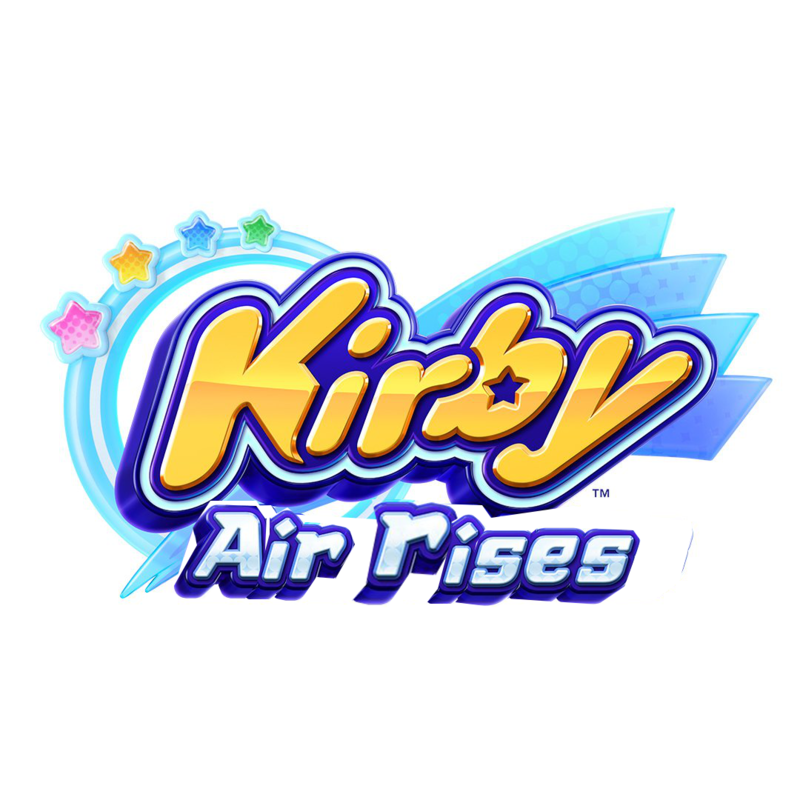 Let us know in the comments if you are interested in playing this new Kirby title. While you are at it, be sure to vote for your favourite Kirby copy ability in the official poll on the Kirby website. Another highlight, for the mere fact that after Kirby's Blowout Blast, this time around Nintendo (and by Nintendo I mean HAL) is experimenting with copy abilities in a 3D environment. And I'm not complaining one bit. Nintendo should use this clip for a 3DS commercial. Looks average at best. Don't get me wrong, Kirby is Kirby and we all love Kirby.. But this looks very basic. Btw is someone on overtime with the late post? Oh, oh it's a retail game? I honestly wasn't expecting this to be a retail game. Doesn't seem all that appealing. Will wait for Kirby Switch. Will play this. My kids and I are looking forward to this. But honestly, I really didn't think they would release another strictly Kirby fighting game, seeing as they released Kirby Fighters Deluxe not too long ago. I don't like these type of Kirby games, the thing I love about Kirby is the couch co-op multiplayer so I'll wait for Switch one. @mystman12 I'm here for ya, buddy, if you need a shoulder to cry on. I agree though, it's really weird they're making another Kirby fighting game after Fighters/Deluxe. I also don't know how they're going to justify a full retail price, seeing as it looks to just be a mash-up of that game and Blowout Blast. Unless of course this is a budget title, but I'm still not interested. Looks good but it is sorta a too little too late with the Switch game on the way. I may still get it for my library/backlog. Also, I have no idea why you wouldn't like that title, looks pretty good to me! What why does America have to wait so long? Hmm, I hate to say this but Kirby is in serious decline. I rather would see that they lay the series to rest for a few years, and then come back with a very strong title again! Pumped for this - do we know if it has download play? I absolutely LOVE the Kirby series, Super Star Ultra is my second favorite game ever (after Paper Mario), and I have every single Kirby game (except for the Anniversary Collection, but I do have the Super Famicom version of Star Stacker, which is easily the most difficult to find one), but I'm not really excited about this one. I'll probably end up getting it day one as well, but I don't know. I just hope it will be good. This is one that should be on the Switch. And before anyone grabs the pitchforks I means as well as on 3DS. They managed a dual release with FE Warriors and should have done it with this (multiplayer being a big part of the Switch sales pitch) and Metroid (because Metroid). Maybe time constraints made it impossible as it wouldn't be worth delaying the 3DS games but it seems a missed opportunity. They could have offered discounts on buying both versions digitally to help 3DS owners build a library on Switch and encourage them to upgrade. Ah well. @electrolite77 While I can't speak to this game in particular, I suspect Nintendo will do some ports of 3DS games in the near future. Seeing as how much of 2018 is cloudy in terms of Nintendo Switch games (Yoshi & Kirby being the only certain 1st party games to come out next year, as Pokemon/Metroid/Fire Emblem have zero info as of yet) I'd expect to see some 3DS/Wii U ports sprinkled throughout the year, which 3DS ports? that's curious, other than this Kirby game, what would you like to see? The Switch one looks better, this one reminds be of Tri Force Heroes. @Multi Yet, "basic" can be said for all other games in the series, which is what makes Kirby games enjoyable (for the most part). HAL is probably testing the waters for a 3D Kirby game and from the looks of it, it's going pretty good. Although this one doesn't look to be trouncing Star Allies on Switch, it definitely isn't looking to be a bad game at all, let alone average (that would be Morphies' Law on Switch). @electrolite77 especially Metroid (because Metroid). The ones that sprung to mind were Fire Emblem Echoes and Ever Oasis. Maybe give Codename STEAM another shot even if just as an eshop release after Mario v Rabbids did so well. The BoxBoxBoy games would add something to the Eshop. Kirby's version of Smash Bros. I like it! At alllllll those people who said the 3DS would end this year: TROLOLOLOLOL!!! @electrolite77 STEAM did pop in my head after playing Rabbids, but it would need some serious retooling to make it more palatable. Yeah it would,be a good opportunity though. More I think of it the less likely it would be. Nintendo have Mario v Rabbids and Advance Wars if they wanted to take it off the naughty step. They don't need that many turn-based strategy games. @Henmii I'm not sure an offshoot Kirby game releasing in January is telling for 3DS's future. Nintendo is winding down development, so don't expect any BIG games coming from Nintendo, expect medium to small, based on the games shown during the direct. I could see some localizations, but considering they showed none of them I have doubts. All new games shown throughout the 3 directs were a New Style Boutique (Style Savvy) sequel, an eshop sequel to Dillon, a Mario Party remix and a Kirby beat-em-up, none of those are big 3DS games even if they all end up being good/great games. I expect 3rd parties to stick around much longer, but when people mean 3DS would end this year, most really mean AAA support. You may be right. But then again many people thought this would be the very last 3DS year, not a single game next year. And reviewers on this site tell us in every review that game x/y may be one of the last. But it keeps on going and going. It may be the lesser games, but they keep coming. Fact is: The 3DS still sells. 3DS games still sell. Especially in Japan, wich is always Nintendo's main-focus. Conclusion: Its over when its TRULY over. Maybe 2018, maybe 2019, nobody knows for sure! @Henmii which is why if we see any big support from Nintendo it will be porting over those Japanese games, which is why publishers like ATLUS and NIS America become so high profile at the end of a systems life-cycle. And lets not kid ourselves, we are at the end of the 3DS's lifecycle, but how much longer we will get games remains to be seen, heck the Vita is still getting games because of Japan. So as I see it, as long as there is demand in Japan, there will be games. But large scale Nintendo games like Mario/Metroid/Pokemon/Fire Emblem are off to Switch. "heck the Vita is still getting games because of Japan. So as I see it, as long as there is demand in Japan, there will be games. But large scale Nintendo games like Mario/Metroid/Pokemon/Fire Emblem are off to Switch"
Maybe, though Pokemon is still on 3DS (However, its a updated version of a older game. Sun and Moon).